Hamas threatens Israel, says it is prepared to liberate "Palestinian land". 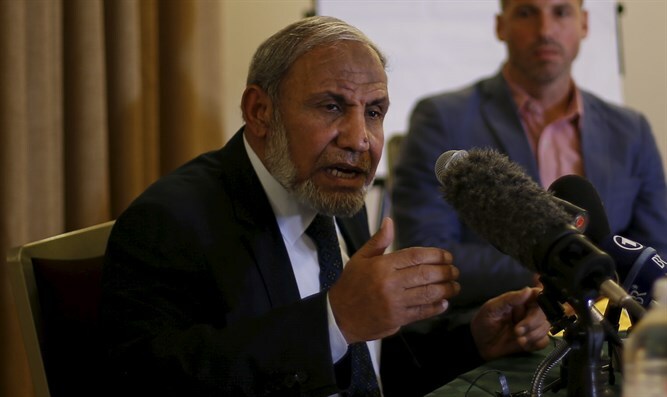 Senior Hamas leader Mahmoud al-Zahar declared on Thursday that the terror group was continuing its preparations for "the liberation of the Al-Aqsa Mosque and all the Palestinian land." “The cuts in salaries (by the Palestinian Authority in Ramallah) will not block our path, either from the ground or from under it, towards Al-Aqsa," he continued. Speaking at the same event, a spokesman for Hamas’s so-called “military wing”, the Al-Qassam Brigades, called on the “occupation” to quietly leave the land, because, as he put it, “the Al-Qassam Brigades are crawling through the tunnels”.